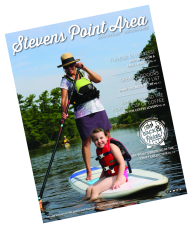 The Stevens Point Area has plenty of options for you to get your coffee fix. Whether you prefer a regular cup-of-joe or fancy a more sophisticated Instagram-worthy latte, there is something to satisfy you here. Don&apos;t let summer slip by without taking advantage of Zest&apos;s shaded outdoor seating. Their specialty latte menu is currently themed as "The Gang Goes to Zest" a play-on the hit TV show, "It&apos;s Always Sunny in Philadelphia". Some of the options include: "Kitten Mittons" (Amaretto, Hazelnut, Espresso), and "Sweet Dee" (Caramel, Ghost Pepper Syrup, Espresso, with Whipped Cream). Take a peek at their current food menu here. TIP: Ask for white espresso in your drink. It has a nutty flavor and more caffeine than regular espresso. From Open-Mic Nights to Singer/Songwriter Sundays, Cribbage Nights and more, there is always something going on at Emy J&apos;s! Located next to Main Grain Bakery, Emy J&apos;s is the one-stop-shop for coffee, ice-cream, and delicious food. This coffee house and cafe makes an effort to incorporate local food into their menu as often as possible. Read about their coffee origins and blends here. TIP: Not a coffee drinker? Try a smoothie! Emy J&apos;s makes their smoothies with real fruit, yogurt and locally produced honey. 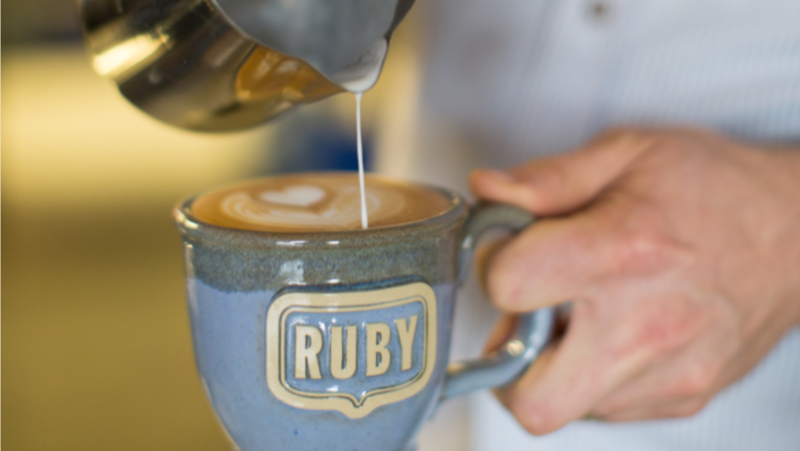 Located just outside of Stevens Point, Ruby Coffee Roasters is a "must-stop" for any coffee enthusiast. Ruby&apos;s roasts all their coffee on-site and works directly with coffee producers, exporter, and importer partners to achieve a sustainable production and quality product. Read up on their efforts to be sustainable here. TIP: The tasting room is an extension of the roastery and warehouse. It is open Saturdays from 8:00am-2:00pm and Sundays from 8:00am-12:00pm. Mission Coffee House is a community-oriented coffee shop that proudly sources, roasts and brews their coffee right in Plover, WI. With over a dozen ice-cream flavors to chose from and a variety of wraps and sandwiches, you will not leave with an empty stomach. Check out their menu here. TIP: Purchase one pound of coffee, and Mission Coffee House will donate $1 to a local organization. Currently they support United Way of Portage County, Portage County Humane Society, and First Choice Pregnancy Center. Everyone is welcome at Basement Brewhaus, located in the University of Wisconsin Stevens Point University Center. Basement Brewhaus doubles as both a coffee shop and bar- offering an array of coffee drinks, beers, and wines. If you&apos;re looking for a relaxed atmosphere to play pool, catch up with a friend, or get some work done- Basement Brewhaus is the place to go! TIP: Like their Facebook Page and stay up to date with weekly events, like Wine & Coloring!